A radical and life-changing experience of spiritual transformation acted as the catalyst for the emergence of the Quaker movement. For those involved, this appeared to be a replaying of Pentecost when the Holy Spirit was poured out on the apostles establishing a church guided by the presence of the risen Christ (Dobbs 1995, p.2). A dramatic experience of Christ appearing in their midst convinced early Friends that the true church was reappearing after centuries of apostasy (Wilcox 1995, p.3) and many Quakers saw these conversions in terms of Paul’s dramatic encounter with the risen Christ on the road to Damascus (Damrosch 1996, p.108). The revelation of Christ brought a spiritual crisis in which the sinful and apostate heart was condemned (Wilcox 1995, p.79) and a sense of joyful liberation was achieved. Everything that is distinctive about the Quaker way developed out of a response to this experience and the efforts of early Friends to make sense of it. The Pentecostal nature of the early Quaker movement was revealed in the charismatic behaviour of its adherents. Rosemary Moore has argued that more than anything else it was the charismatic nature of their early worship that distinguished Quakers from other radical sects with which they shared many ideas (Moore 2000, p.75). Douglas Gwyn has noted that early Quaker worship was “strongly emotional, filled with dread, punctuated with inchoate sounds of sobbing, groaning, sighing and impromptu singing” (Gwyn 2006, p.122). The most enduring legacy of this charismatic behaviour was the name given to the movement ‘in scorn’. The quaking and trembling that gave Quakers their name was the result of their inward spiritual experience (Barbour 1964, p.99). For early Friends, Quaking represented a decisive manifestation of the prophetic power described in the Bible (Damrosch 1996, p.34). God’s presence in worship was not revealed through human speech but rather through quaking (Moore 2000, p.144). Another effect of the Pentecostal outpouring of the Spirit in the early Quaker movement was the performing of signs and wonders including healings (Dobbs 1995, p.47). Fox and early Friends believed that miracles were a product of being in harmony with the whole of creation so that inner fruitfulness produced outer fruitfulness (Damrosch 1996, p.157). Fox in particular was seen to have healing powers and accounts of his healings were carefully recorded even if they were later suppressed when Quakers wanted to play down the ‘enthusiasm’ of the early movement. Having rejected all outward ceremony and liturgy, the prophetic sign, based on the model of the Hebrew prophets became one of the principle means for early Friends to express their inward spiritual experiences externally. Examples of this include ‘going naked as a sign’ and James Nayler’s prophetic re-enactment of Jesus entry into Jerusalem in 1656 at Bristol. It might be argued that, based on their quaking, signs and wonders the early Quaker movement was a precursor of contemporary charismatic Christianity. In her book Holiness: The Soul of Quakerism: an historical analysis of the theology of holiness in the Quaker tradition, Carole Dale Spencer traces the links between early Friends and the modern Pentecostal churches via Wesleyan Methodism. These links are also made by Paul Alexander in his essay Historical and Theological Origins of Assemblies of God Pacifism in the journal Quaker Theology (number 12, Fall-Winter, 2005/6). This essay is available on line - http://quakertheology.org/issue-12-alexander-1.htm. Finally, in an interesting development in the UK, Quaker scholar Benjamin Wood is currently pursuing a research project aimed at developing an ecumenical theology for Quakers and Pentecostals. For early Friends, the most important dimension of the experience of baptism in the Spirit was that it led to a regenerated life; one in which people found themselves brought into right relationship with God, with other people and with the whole creation. The charismatic phenomenon of Quaking was a manifestation of the work of the power of God within them but the real fruit of the process was a new life. We can see this emphasis reflected in the New Testament writings. But if you are led by the Spirit, you are not subject to the law. Now the works of the flesh are obvious: fornication, impurity, licentiousness, idolatry, sorcery, enmities, strife, jealousy, anger, quarrels, dissensions, factions, envy, drunkenness, carousing, and things like these. I am warning you, as I warned you before: those who do such things will not inherit the kingdom of God. This suggests that charismatic behaviour such as quaking has little or no value when it is separated from the formation of a new life based on an active commitment to justice, peace and mercy. The opponents of early Friends used lurid accounts of charismatic behaviour within meetings for worship to dismiss the movement as an outrageous and dangerous example of religious enthusiasm. The label ‘Quaker’ was initially applied to Friends as a term of abuse. In response to this, early Quaker leaders felt compelled to defend their quaking. George Fox does this in his 1660 tract To All the Nations under the Whole Heavens. Using examples drawn from the Bible he argues that, throughout history, the true people of God have always quaked and trembled in the power of God. I have produced a modern English paraphrase of this tract which is set out below. And to everyone who preaches from the Bible but does not know the spiritual Truth and so leave others in ignorance of both the living Spirit and the Bible. This is a message from the people who are disrespectfully called Quakers because they tremble at the word of God in their hearts. The Old Testament and the New Testament show that this is the way holy people have always responded to God’s revelation. Everyone listen! All the true prophets and teachers of the Bible had an intimate relationship with God. Those who do not have the direct experience of the Spirit that the apostles enjoyed know nothing of the ways of God. All the clergy and teachers who lack this intimate relationship with God and preach for money that comes from tithes, deceive people and prevent them from experiencing the Spirit of God within them. This is wickedness because they block the way to salvation. Ephraim was a Quaker! Ephraim was a great and respected man in Israel but, when he spoke God’s word, he trembled (Hosea 13:1). Likewise, through the prophet Joel, the Lord proclaims that at the Day of the Lord, all the inhabitants of the earth will tremble (Joel 2:1) God expects everyone to be a Quaker! Despite this, however, many people condemn quaking. Clearly this means that they haven’t experienced God’s Spirit working within them. The Lord condemns such people. They should beware, because the Day of the Lord is coming and they are estranged from God. When this day arrives, the earth will quake and all people will tremble. Christ, the seed has replaced the outward law and all the old ways. In the power of Christ, the earth trembles, the heavens are pulled apart and water falls from the sky (Judges 5:4). The prophet Ezekiel was a Quaker! The Lord commanded him to eat his bread with quaking and drink his water with trembling as a sign to the people of Israel (Ezekiel 12:18-19). Through the prophet, the people were commanded to tremble with fear for the Lord (Ezekiel 38:20). The prophet Daniel was a Quaker! He trembled, became breathless and lost all his strength when the angel spoke to him (Daniel 10:10-17). Habakkuk was a Quaker! When he heard the voice of God his belly trembled, his lips quivered and he shook all over (Habakkuk 3:16). Solomon says that, at the Day of the Lord, those who watch over the house will tremble and the strong men will bow down. Everyone must experience this quaking in the power of the Lord if they are to enter the kingdom of heaven (Ecclesiastes 12:3). Isaac was a Quaker! He trembled violently and he was a faithful servant of the Lord (Genesis 27:33). Moses was a Quaker! He quaked in fear when God spoke to him in the burning bush and when he pleaded to the Lord on behalf of his people (Deuteronomy 9:19/Hebrews 12:21). The people of Moab trembled in the face of God’s chosen people (Exodus 15:15/Acts 7:32). Those who disobey the Lord will shake like a leaf and lose all their power (2 Samuel 22:7-8). Therefore no-one should criticise those who quake in the power of the Lord. King David was a Quaker! In the psalm he said that, when God heard his cry, the earth trembled and quaked (Psalm 18:6-7) and he stated that the heavens and the earth shake in the presence of God (Psalm 97:3-5). David also proclaimed that his flesh trembled in fear and awe of the Lord (Psalm 119:120). David was a Quaker who loved the testimony of God in his heart. Eventually everyone must come to this experience even if they don’t know it yet. Isaiah tells us that God looks favourably upon those who are humble, who recognise their wrong-doing and who tremble at the word of the Lord (Isaiah 66:2 & 5). So, the lord looks favourably on all humble and contrite Quakers! In the Book of Job we are told that Eliphaz the Temanite trembled and his hair stood on end when God spoke to him (Job 4:14-15). And Job himself states that in the power of the Lord the pillars of the earth tremble (Job 9:5-6). Are we not all called to be Quakers? Those who are wicked and scoff at us for Quaking will come to realise this. Christ is far stronger than the strongest men (Matthew 12:29). He has come to overcome the darkness and evil within people. If you want to enter the kingdom of heaven, you must allow Christ to overcome the strong man in you. In this process you will have an experience of quaking as your salvation is worked out in fear and trembling (Philippians 2:12). When this happens you will no longer despise Quakers. Instead, you will become one of them. When God raises us up in glory, those who scoff will be proven wrong. “But the Lord is the true God; he is the living God, and an everlasting king. At his wrath the earth shall tremble, and the nations shall not be able to abide his indignation” (Jeremiah 10:10). Those of you who mock the Quakers, are you willing to face God’s judgement? Your resistance and disobedience will be overcome by the Lord (Jeremiah 4:24, 26). All those who quake in the power of the Lord are God’s people. Everyone who resists God and his people will be defeated. Amen. The staid WASP middle class sense of decorum which afflicts much of Quakerism in the Western world is not true to the original spirit of Quakerism. It is a pale shadow of it. The period I spend attending a charismatic church opened me up to the breadth of ways the move of the Holy Spirit can be reflected in worship. And the pastor of the church I attended had written a book (Floods upon a Dry Ground by Charles Schmidt) about charismatic movements through Christian history, and included early Friends in the book. Thank you Bill I agree. My main caveat is that, unlike many Pentecostal/Charismatic Christians, I do not believe that the gifts of the Holy Spirit are primarily a marker of personal salvation. Rather, the Spirit's transformative power leads us to the way of Jesus. This must include a rejection of violence, a concern for the powerless and outcast and a commitment to building God's kingdom on earth. Shalom, Stuart. PS - Bill, thanks for the reference. I have just ordered a book called 'Ecstatic Prophecy' by Stacey and Wesley Campbell. This also has a chapter on Quakers. There are other pentecostal experiences of men and women both in the Hebrew Scriptures and other faiths traditions of people who too were filled with God's presence.The quickening of God presence in the life of Moses and the Prophets allowed these men and women to be God’s spokespersons.The Prophet Jeremiah predicted, “ ‘The time is coming,’ declares the Lord, ‘when I will make a new covenant with the house of Israel and with the house of Judah. This is the covenant I will make with the house of Israel after that time,’ declares the Lord. ‘I will put my law in their minds and write it on their hearts’ ” (Jeremiah 31:31,32). Jesus affirmed this convent is true, not of Judah exclusively, but of humanity univer­sally. Matthew 8 we read,When he entered Capernaum, a centurion came forward to him, appealing to him, 6 “Lord, my servant is lying paralysed at home, suffering terribly.” 7 And he said to him, “I will come and heal him.” 8 But the centurion replied, “Lord, I am not worthy to have you come under my roof, but only say the word, and my servant will be healed. 9 For I too am a man under authority, with soldiers under me. And I say to one, ‘Go’, and he goes, and to another, ‘Come’, and he comes, and to my servant,[a] ‘Do this’, and he does it.” 10 When Jesus heard this, he marvelled and said to those who followed him, “Truly, I tell you, with no one in Israel[b] have I found such faith. 11 I tell you, many will come from east and west and recline at table with Abraham, Isaac, and Jacob in the kingdom of heaven, 12 while the sons of the kingdom will be thrown into the outer darkness. In that place there will be weeping and gnashing of teeth.” 13 And to the centurion Jesus said, “Go; let it be done for you as you have believed.” And the servant was healed at that very moment. The Roman centurion was not jewish or christian. But mostly likely a pagan.Definitely not a pacifist.Like so many other folks( Samaritan woman at the well) Jesus saw something in this Roman centurion that others did not." Imago Dei" On my reading of Martin Luther he writes,Imago Dei, was the perfect existence of man and woman in the garden: all knowledge, wisdom and justice, and with peaceful and authoritative dominion over all created things in perpetuity. (This sounds strangely familiar to George Fox and early Quakers) Quickening of God presence of the Roman centurion made the gift of healing (charisma of the spirit) possible. Thank you Paul, I agree! Nice post! Once more, I repeat Chris Newsom's penetrating query; "where is the quaking?" among contemporary Friends. Thank you Bill, it's a good question! "When Elizabeth heard Mary's greeting, the baby leaped in her womb, and Elizabeth was filled with the Holy Spirit." When we welcome the other in our lives the word of God within us will leap..We will be filled with spirit and quake. For the first Friends, the Holy Spirit was not central but instead was a helper and agent of God and Christ to draw people to Christ. Fox's testimony was that the Father drew him to the Son by his Spirit. Christ is the center, not the Holy Spirit. The Holy Spirit did not suffer, die, and rise on the third day, an example in history and a type and figure of our inward regeneration. The first Friends response to Christ was different from the Pentacostal response to the Holy Spirit. Friends were brought into corporate unity as a body who gathered to hear together, obey together, and suffer together for the righteous testimony to Christ. Their theological understanding about God and Christ was unified, and they they were commissioned to reach to that same witness of God in the unredeemed, to bring them into the same gospel power that had transformed themselves. Their church polity, their ministry, their mission, their fellowship, their worship all were responses to Christ among them, teaching them, admonishing them to keep within the daily cross. You state, Stuart, that for the first Friends "the most important dimension of the experience of baptism in the Spirit was that it led to a regenerated life." In as subtle way, this statement is telling of the overall error of equating the faith of the early Friends with Pentacostalism. A regenerated life was a secondary and outward consequence of first Friends' transforming encounter with Christ, but it wasn't "the most important dimension." The most important dimension was inward: they now had a place to stand; they were established men and women who knew that Life was in the dialogic relationship with their Creator. They had come back into garden from whence they had been banished for disobedience. I can't help but feel that all the focus in Pentacostalism that is given to the ecstatic experience itself is a kind of willful determination to see oneself as "saved," coupled with an hysteric, cathartic forfeiture of reason and conscience. To equate this with the highly integrated and heroic pursuit of Truth that Friends of every century, but particularly the 17th, undertook, is to be misled by superficialities. Yes, they knew the ecstasy of divine encounter, but their aim was right relationship with Christ, not ecstatic experience. Dear Pat, thank you so much for your comment. 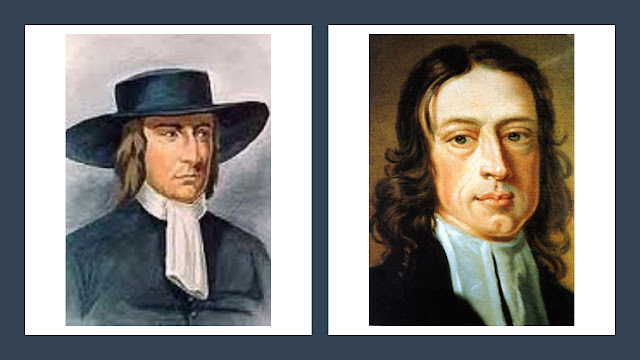 My intention was not to equate early Friends with Pentecostal in general terms but rather to highlight a 'family resemblance' between the early Quaker movement and modern Pentecostal/charismatic traditions, much as there is a family resemblance between Anabaptism and Quakerism. The resemblance (or 'aspects' which I think indicates limits to the commonality) does not imply that there are no significant differences. There clearly are (however, as with the case of Anabaptism and Quakerism, the differences between Quakerism and Pentecostalism were probably less clear-cut at the beginning of each movement than later on). I do not agree that first Friends regarded the Holy Spirit merely as a helper. I believe that their great emphasis on the fulfilment of Joel's prophecy (and the proclamation that 'all flesh, really did mean ALL flesh) as the final stage of creating the new covenant, undermines such a position. Although they were opposed to the 'notional' doctrine of the Trinity, they were Trinitarian in practical terms in that they accepted that God was Father, Son and Spirit. I believe that they were reacting against the down-playing of the Holy Spirit in the Western Christian tradition and in particular in the Calvinism that they were rejecting so vigorously in their time (in this sense they are closer to the Eastern Orthodox view of the Holy Spirit). So, in summary, I agree with the points of difference you highlight between Quakerism and Pentecostalism but still assert that there is an intersting family resemblance between the two movements. Let me try to explain by way of analogy why I think that superficial similarities do not provide an adequate basis for the claim that original Quaker faith and Pentacostalism bear resemblance to one another. To many Liberal Friends today there is a strong resemblance between the origins of our faith in the 17th century and Calvinism or Puritanism, because each tradition professes to be Christian. At their root, however, these faiths are substantially different from one another, in spite of similar vocabularies and use of the Bible. The early Friends would find no similarity between these disparate faiths because they understood the distinction between the source (whether from heaven or not) of each as being significant for assessing similarity or difference. In the same way, the Pharisees did not understand that their faith was different from Abraham's, as superficially they were of the culture that began with Abraham and claimed God as their father. Yet Jesus understood that there was no likeness between the faith of the Pharisees and that of Abraham, in spite of the Pharisees' claim. One could make a case that because of outward similarities of vocabulary, shared Scriptures, etc. there was a resemblance or likeness between these disparate faiths, but it is where the substance lies that determines whether they are like one another or not. The substance of early Quaker faith and the substance of Pentacostalism are different from one another at their root; only in superficialities are there some similarities, which says to me that this eliminates the possibility of claiming any substantial connection. First, inwardly; there is a great inclination in the minds of people, to look more at the operation of God's power in this great work outwardly, that to look at it inwardly, but unto that there must be a daily cross taken up, and it is my business at this time to tell you in the name of the Lord, that your duty and mine is to turn our minds to the working of the power of God in ourselves, and to see that other kingdom of the man of sin weakened and brought down within us; then there is no fear but he will carry on his work outwardly, and we shall see as much of that work as belongs to our generation; but the great matter and chief government of you and me, is to see the kingdom of God set up within us, which stands in holiness and righteousness: Our business is to walk till we see the righteousness of this kingdom set up within us, in our hearts and souls, and to have a real change made. I always appreciate your writings, Stuart, and usually find them solid. But this idea of resemblance between Quaker faith and Pentacostalism does not ring true, and it seems to me to be promoted now more frequently, perhaps as an attempt to jump-start a stalled Society with an emotional charge. Dear Pat, maybe we will simply have to agree to disagree about this. I maintain that there is a family resemblance between early Friends through Wesleyan holiness to the early Pentecostal movement. All of these groups, as opposed to more or less all other Western Post-Reformation traditions, give a significant emphasis to the immediate and available power of the Holy Spirit to transform and regenerate people. With regard to the issue of the Holy Spirit, you might like to look at Wilmer Cooper's entry on this matter in the 'Historical Dictionary of Friends (Quakers)' and Stephen Angell's chapter on 'God, Christ and the Light' in the 'Oxford Handbook of Quaker Studies'. I shall look at those pieces, Stuart. You may be interested in listening to a lecture by Lewis Benson titled "The Gospel by John Wesley: Echoes in Modern Evangelical Christianity," which traces the beginning of Pentacostalism to its source in 18th century evangelical Protestantism with its adherents' individualistic, pragmatic pre-occupation with their own souls.I anticipate the file will be posted at the NFF literature site by the end of the month: nffpublicationsusa.org. Thank you Pat. I have found Lewis Benson's work very helpful and would agree that the individualistic Protestant perspective dominant in much of the Wesleyan holiness/Pentecostal traditions is not consistent with the way of early Friends. I would argue that there are significant differences between these two strands of our Christian heritage but that there remain some important points of connection ('family resemblances). We cannot deny the significant influence that Wesleyan spirituality and theology has had on the majority of Friends in the world today, whatever our personal view about this might be..
To avoid misunderstanding, I think that it is also worth noting that I am referring to the explicitly charismatic aspects of the Quaker way which were a feature of the first 10 years of the movement. After that, in the context of severe persecution and an increasing focus on campaigning for religious toleration, Friends began to distance themselves from this aspect of their beginnings. Some will argue that this was a loss of radicalism and spiritual fire, others will see it as a movement coming to maturity and a sense of corporate order. I think that it's fair to say that Benson's work on Fox and his vision focuses more on Restoration Quakerism than on the movment in its apocalyptic/charismatic phase (between 1647 and the early 1660s). When Friends complain that Quakerism is dying and I want to tweak them, I mention John Wimber. Wimber came out of Friends. The charismatic Vineyard Ministry that he helped found is arguably one of the most significant developments in Christianity, at least in terms of numbers, in the last 40 years. I personally find Wimber interesting because of an experience of a friend I greatly respect. He was working at a venue where Wimber was speaking. Wimber gave a strange message out of the blue - "Someone needs to go immediately to a nearby mall. There's somebody there who needs to talk to you." My friend who was hardly paying attention and whom I would never characterize as charismatic, was convinced that the message was directed at him. He abandoned his job and went to a mall he was unfamiliar with and did indeed meet somebody he knew who desperately needed to talk to him and for whom nobody else could have taken his place. Dear Andy, thank you for your comment! I certainly think that Friends need to pay more attention to this aspect of their heritage. That said, as I have argued above, baptism in the Spirit should empower people to live the way of Jesus (particularly, the binding together of love of God and neighbour where neighbour means everyone, including enemies). Ecstaic experiences may be part of the process but they are not the end in themselves. Shalom, Stuart. Dear Friend Forrest, Thank you for the link. I appreciated your reflections.